A portfolio optimization problem involves optimal allocation of finite capital to a series of assets to achieve an acceptable trade-off between profit and risk in a given investment period. In the paper, the extended Markowitz’s mean-variance portfolio optimization model is studied. A major challenge with this model is that it contains both discrete and continuous decision variables, which represent the assignment and allocation of assets respectively. 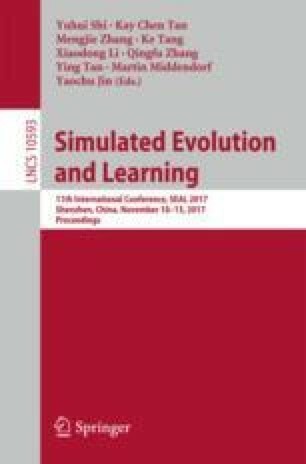 To deal with this hard problem, this paper proposes an evolutionary algorithm with a new coding scheme that converts discrete variables into continuous ones. By this way, the mixed variables can be handled, and some of the constraints are naturally satisfied. The new approach is empirically studied and the experiment results indicate its efficiency. This work is supported by the Shanghai Clearing House under the project of ‘artificial intelligence methods for complex 0-1 financial optimization’, the National Natural Science Foundation of China under Grant No. 61673180, and the Science and Technology Commission of Shanghai Municipality under Grant No. 14DZ2260800.